The C13K Lairhillock to Portlethen Road at Rothnick will close for around 14 weeks from this Friday (May 19) as part of the Aberdeen Western Peripheral Route project. The closure is necessary to enhance the safety of road users and workers while the contractor completes the construction of a new bridge and clears the site, with major earthworks taking place. Signed diversions will be in place. Road users travelling eastbound should join the C5K Lochton to Auchlunies to Nigg Road and then the U66K Craigentath to Quoscies Road, re-joining the C13k east of the closure. Road users travelling westbound should join the C24K Skateraw to Cookney Road, continue along the C25K Muchalls to Burnhead Road and C12K Bridge of Muchalls to Burnhead Road before joining the B979 Netherley Road. Vehicular and emergency service access to any affected properties will be maintained from the A90 and B979 Netherley Road. There will also be no pedestrian or cyclist access available through the closure. A Transport Scotland spokesperson said: “We understand the importance of this local road to local communities and consequently, the contractor has planned the timing of this closure to minimise the impact it may have on road users. A significant portion of the road closure will take place during the school holidays over summer. “We would like to encourage those drivers who would consider using these roads to plan their journeys in advance. We would also urge road users to allow additional travelling time so that they can reach their destination safely and on time. The AWPR team are giving a presentation on the roads progress at the Lairhillock primary school tonight (Monday, May 15) at 7.30pm. This event is hosted by the North Kincardine Rural Community Council and all are welcome to attend. 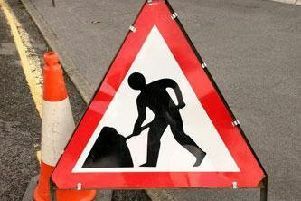 They will give an update on the works from the North Deeside road down to Stonehaven, the A90 and works at Charleston, as well as the imminent closure of the Lairhillock road at Rothnick for up to 14 weeks. This is a chance to hear plans for diversions on this busy route from Portlethen across to the Netherley Road.